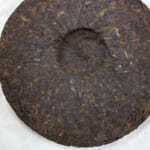 Fresh plucked raw pu-erh tealeaves are usually processed through pan-frying. Traditional pan-frying processing would make the smoke gets into the tea. Some tea farmers, especially the minorities who live in the mountains in Yunnan tend to use primitive type of pan-frying method. They set the wood fire under a big frying pan. 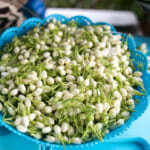 This is a common practice among minority villages in Yunnan. When processing the tea, smoke released from the burning wood will rise up and circulate in the air. 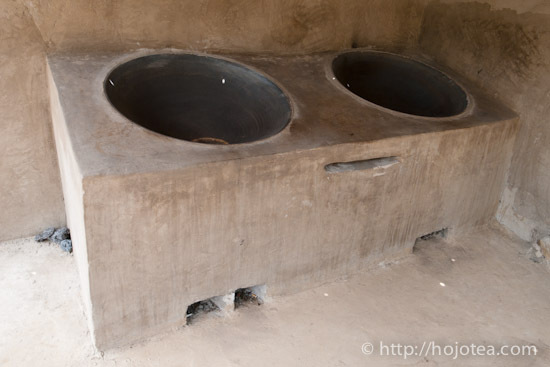 Tea processed in such primitive method will likely to have smoky flavor. 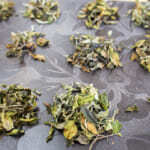 Unfortunately, the value of tea decreases significantly if tea gets smoky flavor. If tea has smoky flavor, I am reluctant to purchase it. 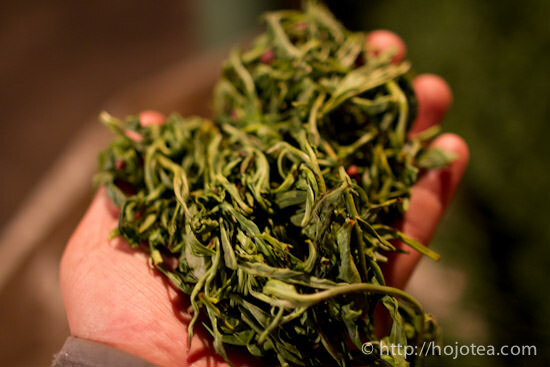 However, if the tea is made of extraordinary good quality material, even if it is smoky, I would still consider buying it because the selling price is very low due to its smokiness. 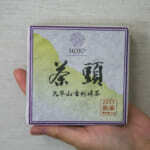 For example, our Xiu Lin Wu Hao raw pu-erh and Xian Su Shan raw pu-erh are this type of smoky good tea. Both are made of very high quality material, yet their price is very low because of the smoky flavor. 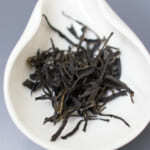 For those who know how to taste tea, and would not mind its slight smokiness, Xiu Lin and Xian Su Shan are good buys. 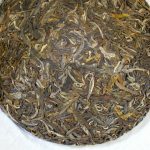 Some of my customers even love these smoky tea, they find that this kind of smokiness is similar to the character of Scotch Whisky. 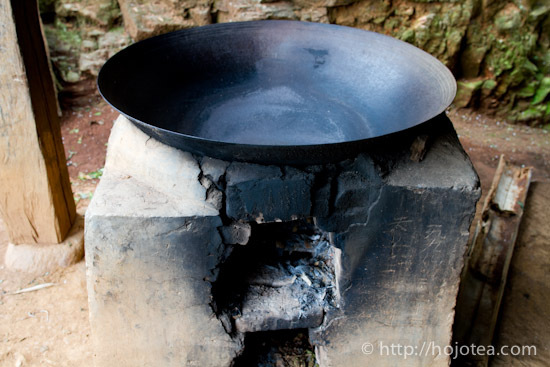 The most primitive type of frying pan still commonly used by the minority farmers. During my recent trips to Yunnan tea gardens, I notice more and more people started using a new kind of pan-frying method. They build a wall to segregate wood fire area from the frying pan stove. The smoke is released to the other side of the wall during tea processing. The holes underneath the stove allow air ventilation into the wood fire area(built behind the wall). 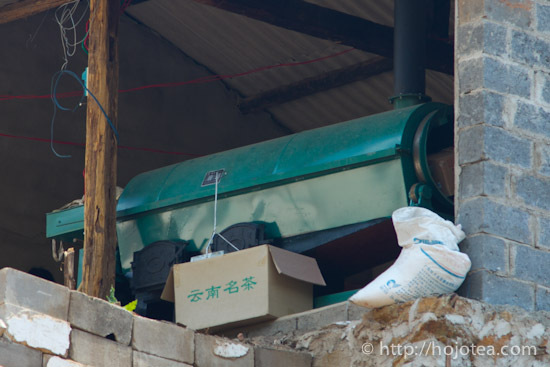 Some small factories, or farmers who live near urban area often use drum-frying machine when processing raw pu-erh tea. 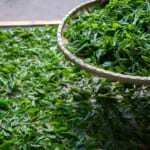 Some people say, the quality of tea processed in a machine will not be very good since it is not processed manually. On the contrary, it is quite the opposite. 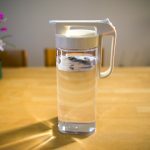 When using machine to process tea, they can precisely control the temperature and retention time, therefore they can produce tea with pretty good quality. 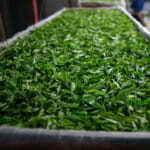 Ironically, the place where we can find very high quality material is located deep inside the mountains, but most of the tea farmers there are still using the traditional pan-frying method.